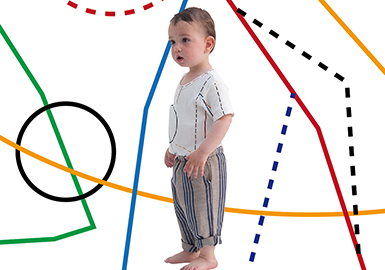 Kidswear brand Bobo Choses launchs a sports-themed collection in this season. The sport elements is diverse, from playground to energetic athletes, showing kids' vivacity. 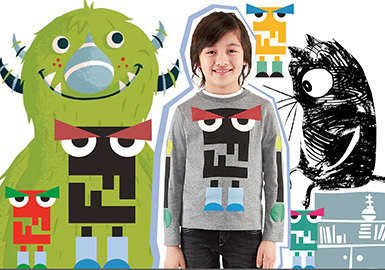 Monsters emerge as a new pattern direction, seen on Kidswear brands such as Fendi and mongdodo. The cute or scary animals show the spirit of adventure, with all-over or decorative placement creating an effortlessly playful and lively look. 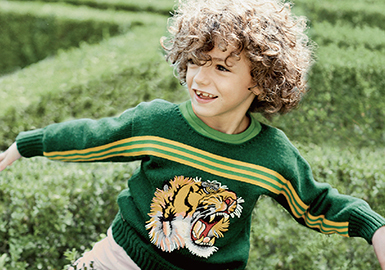 Kidswear brands such as Kenzo and Gucci bring a series of patterns which inspired by tigers. The patterns of fierce or playful tigers rendered in cartoon image, true-to-life pattern or sketch convey an adventurous message.